Parallel to her career as a performer, Lorena Baricalla has built on her knowledge of dance in order to fine-tune her own teaching method. 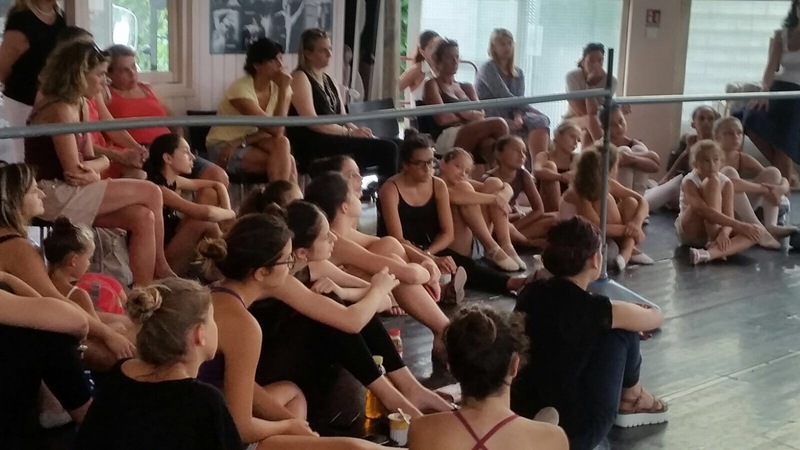 “The Lorena Baricalla Monte Carlo Russian Method” has been created to support young dancers and ballet schools. In addition, with her company PromoArt Monte-Carlo Production, Lorena Baricalla assists young dancers by donating study bursaries. The “Méthode Russe de Monte-Carlo de Lorena Baricalla” – “The Lorena Baricalla Monte Carlo Russian Method” produced by PromoArt Monte-Carlo Production, is the result of her artistic and teaching experience as international ballet star and choreographer. It follows the Russian tradition which developed in Monte Carlo in the early 1900s, with the creation of Diaghilev’s Russian Ballets. Monaco born, Lorena Baricalla took her diploma with top marks at the “Princess Grace” Academy in Monte Carlo with Russian Master Marika Besobrasova, with whom she continued to work after graduation. She danced the leading roles at the Monte Carlo Ballet and from there has made an international career spanning 35 countries around the world. “The Lorena Baricalla Monte Carlo Russian Method” does not simply represent a selection of Ballet’s technical and artistic rules. It is first and foremost a vision. From a certain point of view, anyone can teach ballet as it is made up of codified steps. But in that case, why can’t all teachers bring their pupils to a good level? It is the approach to teaching ballet that makes the difference. Hence the “Method” is a unique evaluation system which allows for the pupil’s positioning in the international panorama of ballet according to its 14 levels of study. Affiliation to the “Method” is open to all schools which wish to follow a quality programme with their pupils, benefiting from Lorena Baricalla’s experience and an annual academic programme based on international criteria. The innovative idea distinguishing the “Method” is that of having created what can be described as a “global academy” and giving all schools the opportunity of accessing it. This enables them to verify which level to place their pupils at and gives the pupils a vision of the programme and the goals to aim for year after year. The “Method” has the standards of Vision, Approach, Language, Rules, Ethics and Values. The “Method” is a programme which takes in the pupil’s complete body-mind-spirit development in the dual identity of athlete-performer. The fine-tuned didactic method offers a learning process and stages of regular progress which allow the pupil to move forward to more advanced levels. The brand represents prestige, competence and quality and adds distinction to the affiliated schools. Fundamental to the programme are the annual Exams, with academic steps choreographies expressly created by Lorena Baricalla, containing all the technical difficulties for every level of study and consisting of a succession of regular stages which allow for effective progression. -	Training and refresher Courses for Ballet teachers. The Affiliation is open to All schools around the world!